We love Tsui Hark in loony bit parts. What about a feature then? We’ll discuss and review his role, the pairing with John Shum and a robotic Sally Yeh in I Love Maria from 1988. Also, somewhere along the way Wong Jing wanted to a Street Fighter movie. Only he couldn’t. So he still did it. 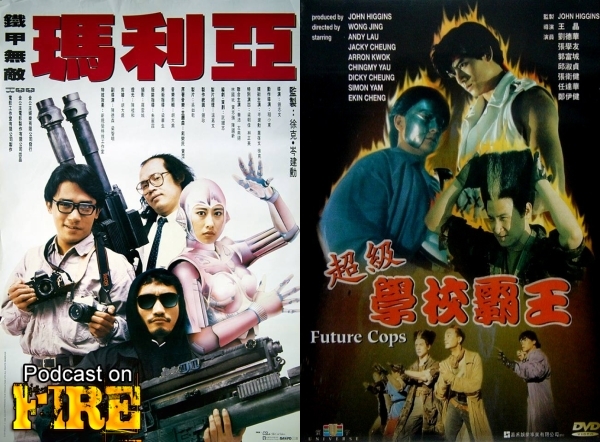 Starring Dicky, Andy, Simon, Jacky, Chingmy, we’ll also review his 1993 action-comedy Future Cops. With Kenny B and Paul Fox of the East Screen West Screen podcast. We continue to ask ourselves: Team Tam or not Team Tam? 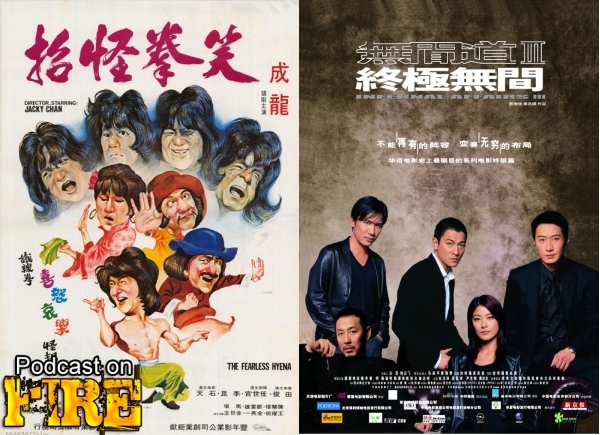 Welcome to Podcast On Fire and the Alan Tam Crapping Hour. As for the first movie up for review, Mummy Dearest is a lesser known Ronny Yu movie where Tam plays a serial killer. Also in the second half, the Aces Go Places formula or franchise comes back for air in 97 Aces Go Places. Is it a breath of fresh air? 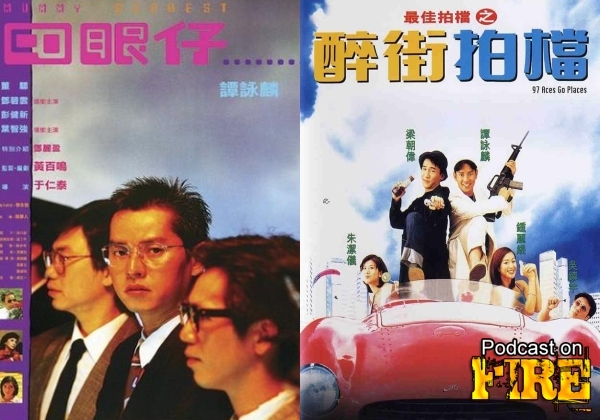 Well Alan Tam plays dual roles so make of that what you will. With Kenny B as always to discuss all things Team Tam or not Team is Eastern Film Fans head honcho Phil G.
One starts off his directing career with a distressing, social drama, another goes West so on this episode of we take a look at Derek Yee’s directorial debut The Lunatics and Chow Yun-Hollywood debut in the form of The Replacement Killers. Special co-host, Kevin Ma of the East Screen West Screen podcast. One starts off his directing career, another troupe is concluding their crime saga. 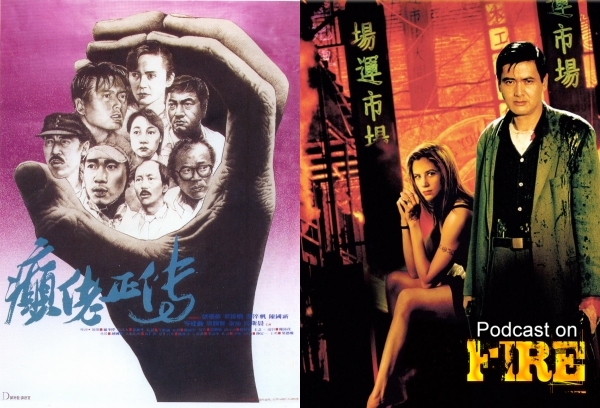 We are therefore covering Jackie Chan’s directorial debut Fearless Hyena and the finale to the ‘Infernal Affairs’ trilogy where we go back and forward but there is a period put on the continuous hell theme in Infernal Affairs III. With Kenny B and Phil G of Eastern Film Fans. 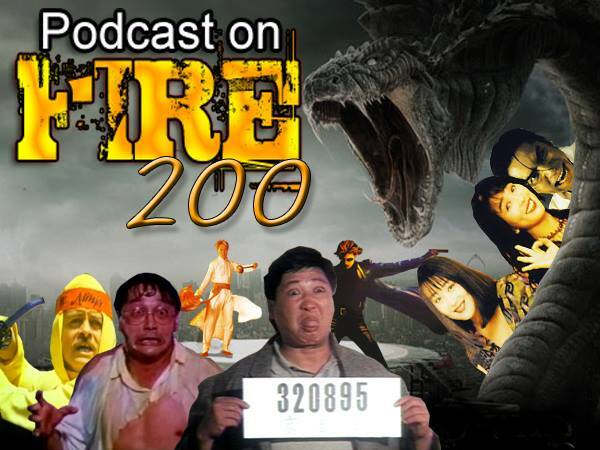 Well, well, well… we’ve reached episode 200 and thank you for listening and supporting the show! We came up with an innovative idea for the celebration: WE’RE GONNA REVIEW MOVIES! With Kenny B and many of the co-hosts of the network, across 4 hours and several separate recordings you’ll essentially get all network shows in one. Enjoy! Remember the summer of 1990 when two action-drama and romance classics came out and that you were left devastated after each one? 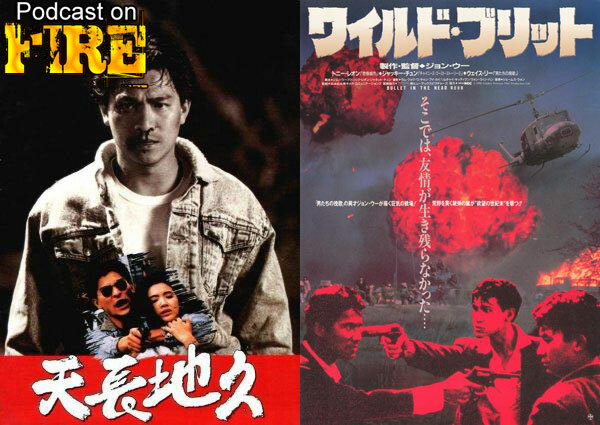 If you did (and even if you didn’t), here’s your chance to relive some of that through Kenny B’s and Tom K-W’s discussion on Benny Chan’s A Moment Of Romance and John Woo’s Bullet In The Head. Dr. Lam is also at hand, providing two separately recorded reviews and check out his show specific doodles in the show links! Pardon the audio quality of these two segments.